There are some shoes in the market that are built for your intense every day skater; made to last through every kickflip and last second bail. On the other end of the spectrum you have your shoes that are designed with style in mind more than function. The shoe company Supra has a brand image goes along the lines of style first and end up looking like high end shoes with a price tag to match. Going out for your daily boarding grind in your high end Muskas might be a mistake. You’re not skating around in solid gold when you wear Supra shoes, so don’t get the impression that you can’t wear them for a good skate session. The Muskas have a boardfeel that is unmatched along with a quality grip. Riding around in these good looking kicks will be a good time. The shoes are wear tested over a long-term. 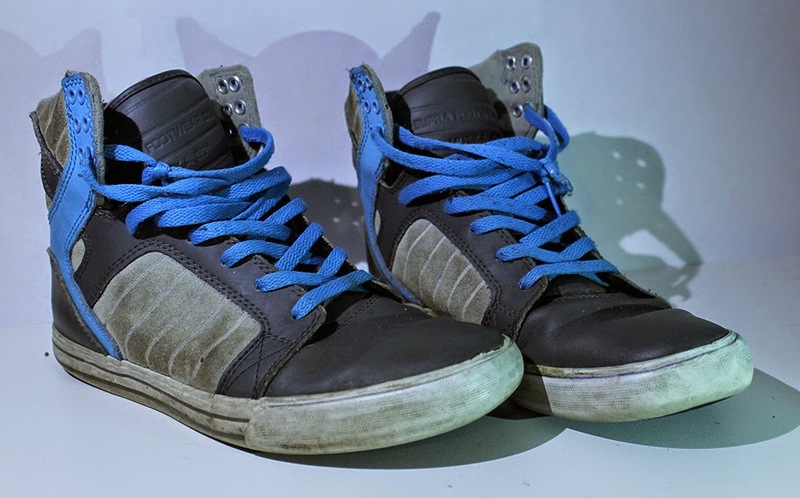 Shoe was worn through many skate sessions more focused on longboarding than skateboarding, so some wear patterns that are pointed out in this review may correlate to one form of skating more than the other. After most integrity was lost during boarding, the shoes were still worn casually. For any terms that don't make sense, check out this skateboarding glossary. Supra's shoe design of the Skytop Muska 001 runs slightly large. So give the half size down from your typical shoe size a try. The toe box area is a little roomy and then tapers down to fit along the side of your foot just right. The fit of the shoes can change depending on how you lace your shoes, but like most of the skaters out there these shoes were laced up on the looser side. High top shoes always come with a concern about the irritation of the high top against your ankle. Muskas are designed with a soft padded high top that does not chaff your ankle even from day one. 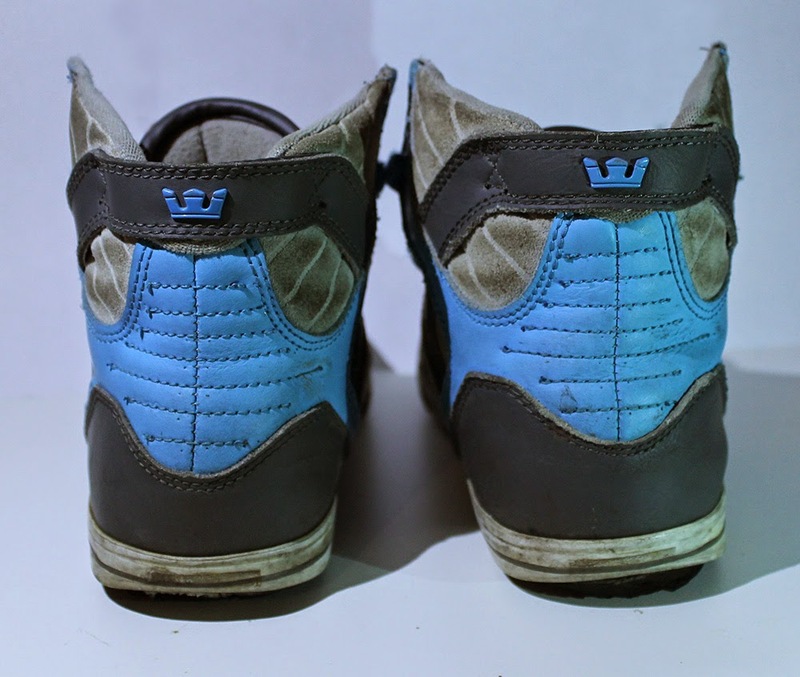 These shoes are day one ready, being made up of TUF suede leather that is water resistant, SupraFoam injected into the mid-sole of the shoe, and extra heel protection crafted into a high memory polyurethane insole. After the long wear, a lot of the comfort has been lost. The heels are eaten through by the pavement leaving a lot of impact from walking or skating going straight to your foot making it difficult to wear them for a full day. This also leaves the shoe prone to taking on water during any weather conditions. High top shoes inherently supply more support when riding. 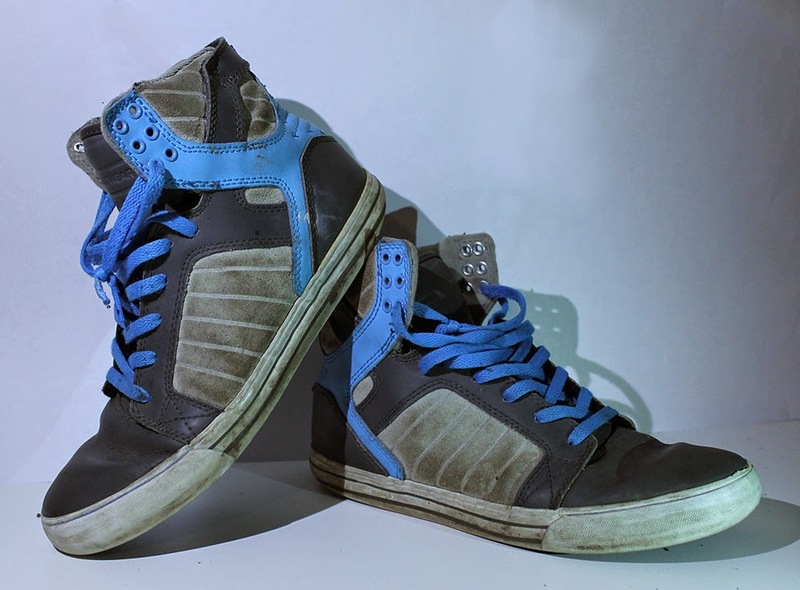 The Muskas have soft high tops that help cradle you’re ankle in times of need. Expecting this soft high top to give maximum support would be aiming to high. 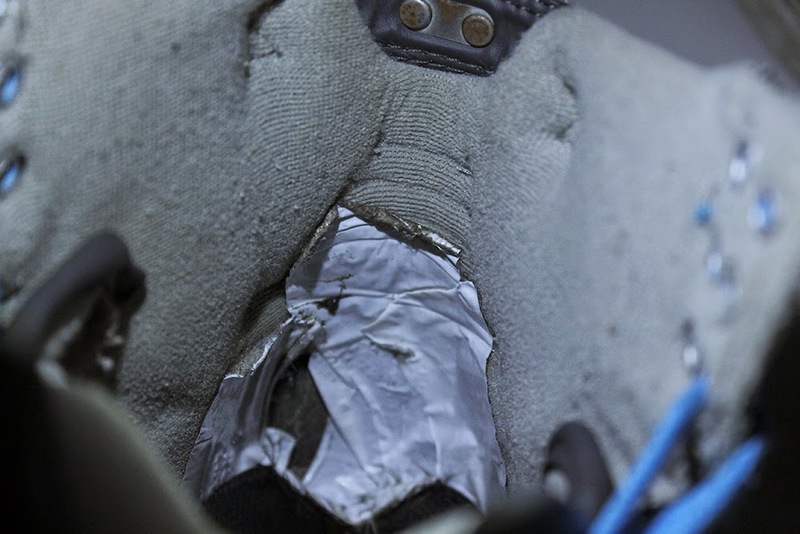 Along with the technologies mentioned above about the craft of the shoe’s sole, Supra implemented an internal neoprene toecap for added toe protection. The cushion provided in the shoe is not something to be bragging about. The thinner sole plays into the more recent styles of shoes being narrower and form fitting rather than the huge clouds that were seen on people’s feet. This is one of the reasons hard skating in these shoes isn’t advocated here. With a lack of cushion to begin with, things can only get worse with wear. The heel’s of this shoe is going to take a beating throughout this review. The heels are the most obvious flaw in the construction. 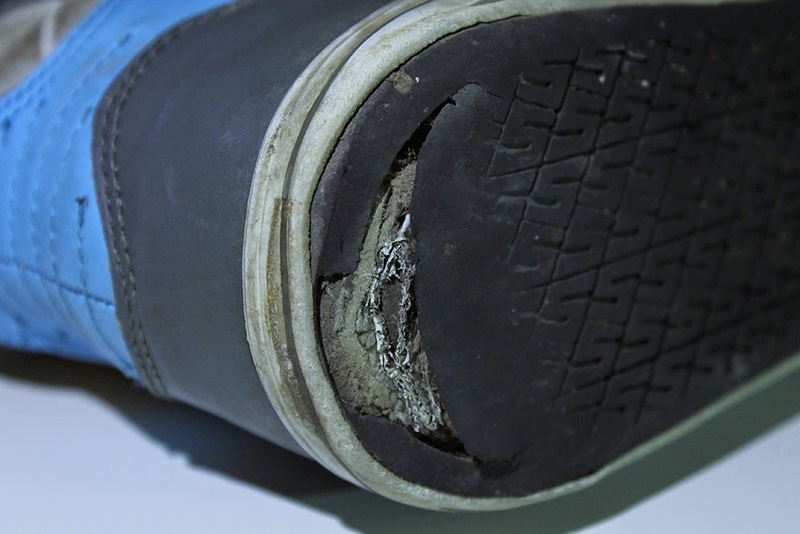 Supra may have put some high memory insoles down there, but they are definitely not high durability. The heels wore down rapidly greatly shortening the shoe’s lifespan. The soles cause issues regarding comfort after some wear, but the sensation you feel while riding is almost worth it. The Muskas become one with the board and you get great contact and board response throughout your whole foot. With the slightly larger toe box, there were initial worries about control and feel but wear testing blew them straight out the window. Gripping the board with these beauties is not a problem. The tread is fairly deep made with a broken up pattern for some flexibility. The soles of the shoe also bear the logo of Supra in the center made up of the same material of the rest of the sole and doesn’t disrupt performance. With silky leather being stitched throughout the top, some of the contact with the board can feel quick and smooth early on. The integrity of the tread overall held up rather well against the pavement. 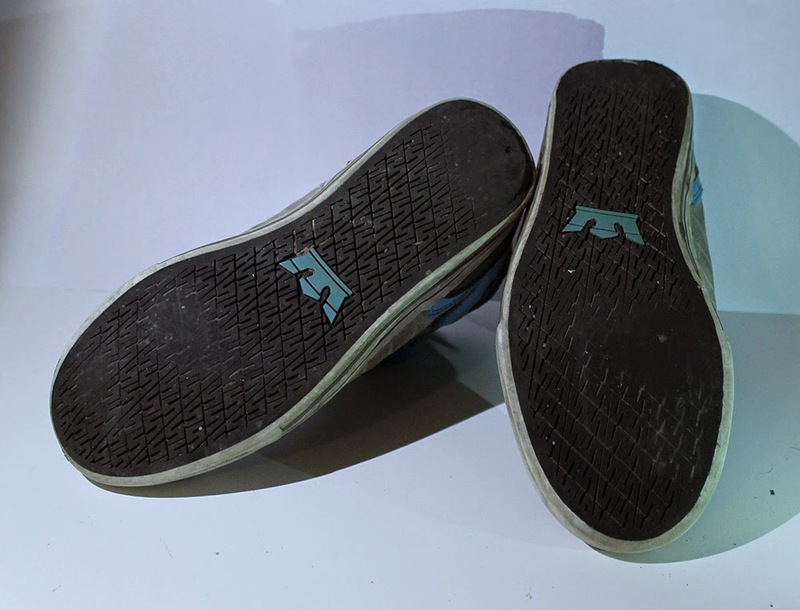 With tread left, the smooth boardfeel and grip remained throughout most the wear testing. Although the cushion is shot, the grip gives you the confidence to keep cruising in them. After a couple rides the shoe developed some wear that helped with the slick grip of the tops of the shoe. As a whole, the Muskas hold up pretty well. The tread still supplies the boardfeel and grip desired to ride. The toe box, typically a problem area, stayed strong. This is most likely due to more riding being done on a longboard rather than pulling skateboard tricks. The problem of this shoe keeps circling back the lack of durability in the heels. Using the shoe’s as a brake is a death wish for them. Braking is an essential move used to survive no matter what method of boarding you do, and if the heel support is grinded down to dust braking becomes difficult. From an aesthetics standpoint, the stylish look is still strong. The stitching is not bursting out of every seam, you can’t see my socks through the toes, and the high tops are still reaching for the sky. Even after you blow out the heels in these you can wear them out. Supra’s Skytop Muska 001 is a beautiful shoe to look at. The visual design is stunning and creates a bond with you; they become a part of your own style. Supra lands on the function vs. form spectrum leaning towards form. Some of the wear patterns suggest that with more skateboard wear testing, more durability issues will arise. Depending on what you are looking to get from your shoe, and if you’re willing to drop a pretty penny on footwear, Supra might be right for you. If your looking to pick up a pair of Supras yourself, Zumiez should meet all your skateboard shoe needs. I like how you rated each section at the bottom and how you posted pictures of the product showing wear and tear, I think that both of those features are helpful. I find your review to be well organized and the structure is easy to follow with clear headings.